Signs Visual prints custom signage, banners, and graphics for conferences and events all over New York City. Our conference and exposition signage consists of foamboard prints, vinyl banners, fabric textile printed banners, table throws, retractable banner stands, custom banner displays, and more. We can combine any type of configuration of soft signage for your tradeshow or conference exhibit and displays. 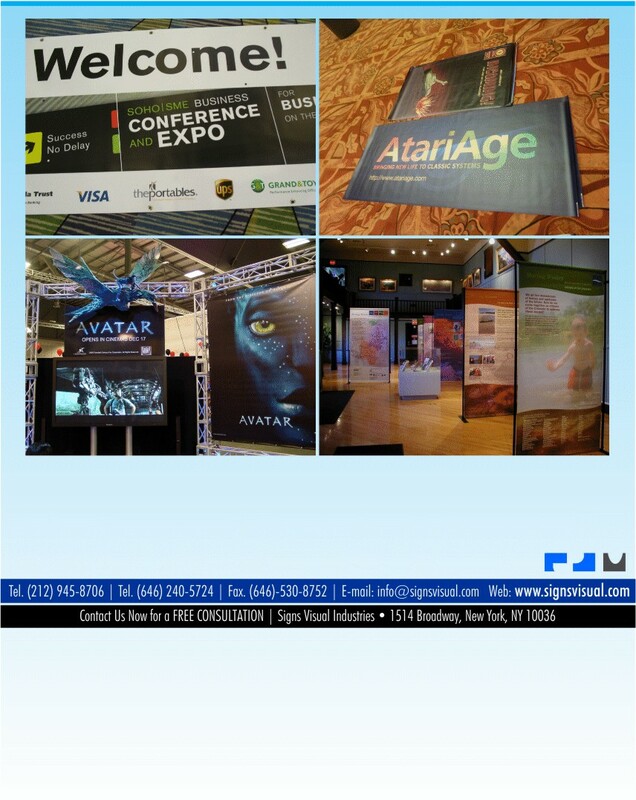 Contact us today for a free quote on your next conference banner project in NYC!